Agent 47, star of the popular Hitman series of games, is cold, calculating and precise. The same words could be used to describe the series’ developer, IO Interactive, who just announced a new game just days ahead of the biggest gaming show of the year. Instead of waiting for the show to start - and the inevitable deluge of announcements that comes with it - the Hitman developer beat the crowd by releasing the announcement trailer for Hitman 2 earlier today. Hitman 2’s unveiling comes just months after IO Interactive announced that it would partner with publisher Warner Bros. after cutting ties with previous publisher Square Enix. Despite the freshness of the deal, however, both the developer and publisher wasted no time in releasing a teaser trailer for the new game which is due out on November 13, 2018 for PlayStation, Xbox and PC. While IO Interactive and Warner Bros. have announced the existence of the game - alongside a release trailer featured up above - neither has given many details on what the game is going to be like: Whether it will be a full game outright or an episodic title like the most recent Hitman title from 2016 remains to be seen. 'Full game' could be interpreted to mean many different things, but it could be mean that Hitman 2 will be released as a full package rather than piece-by-piece. 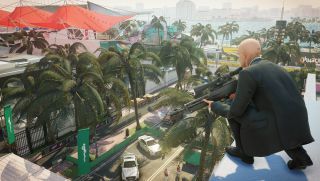 Alongside the announcement trailer, IO Interactive has released a second trailer that details Sniper Assassin - a stand-alone online co-op game mode that tasks you and a friend to work together to take out targets. Those who pre-order the game will receive instant access to the game mode ahead of Hitman 2’s release later this year.